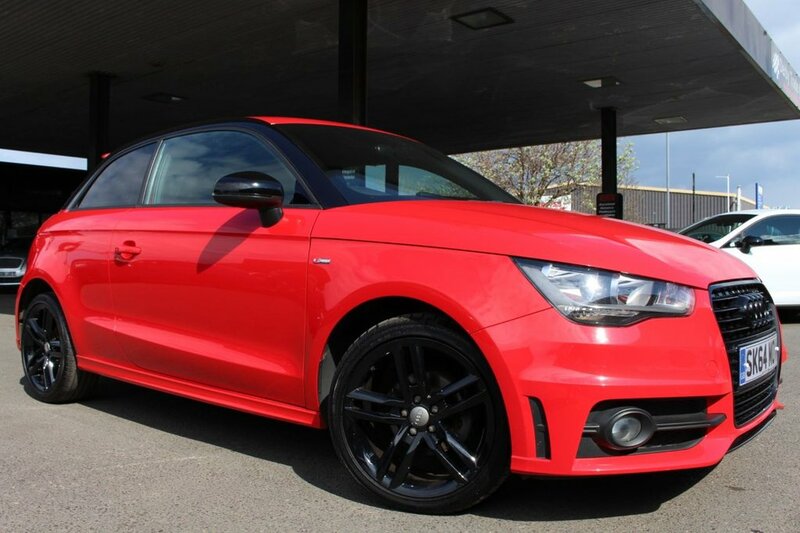 HERE WE HAVE A STUNNING AUDI A1 1.2 TFSI S LINE WITH ONLY ONE OWNER FROM NEW, LOOKS STUNNING IN BRILLIANT RED WITH S1 REPLICA UPGRADES !! SOME GREAT SPECIFICATION INCLUDING HALF BLACK LEATHER AND CLOTH SEATS WITH WHITE CONTRASTING STITCHING AND S LINE EMBOSSING, CLIMATE CONTROL, CRUISE CONTROL, BLUETOOTH CONNECTION, DAB DIGITAL RADIO, 2X SD CARD SLOTS, AUTOMATIC STOP/START TECHNOLOGY, TINTED PRIVACY GLASS, TINTED REAR LIGHTS, LEATHER MULTIFUNCTIONAL STEERING WHEEL !! FULL SERVICE HISTORY INFORMATION TO FOLLOW. THE CURRENT MILEAGE IS NOW 38,000 miles. THIS CAR WILL COME WITH MOT UNTIL 17th APRIL 2020. ALL HPI CLEAR. A VERY NICE A1 THAT MUST BE SEEN TO BE FULLY APPRECIATED. FRONT BRAKE PADS RECENTLY REPLACED.